Heart problems have touched many of our lives, or the lives of those we care about. Heart attacks and heart failure are leading killers in the U.S.,1 with limited treatment options available today. Typically, a heart attack is followed by significant heart muscle cell death, leaving the organ in a weakened state and the patient at risk of cardiovascular dysfunction and eventual heart failure. This leads to many of the deaths attributed to cardiovascular disease. Over the past 20 years, hope has grown around the use of stem cells to enhance regeneration following a heart attack, wherein stem cells would facilitate tissue repair and help restore heart muscle function. This notion has captured the hope of many scientists and physicians, evidenced by the emergence of several companies (e.g., Mesoblast, Celixir, TiGenix, BioCardia, Athersys) and numerous clinical trials that are now well underway. These events will undoubtedly impact the field of cardiac stem cells. The community will take stock and re-evaluate any scientific conclusions derived from Anversa’s work. Those involved will need to find a way to overcome damaged perceptions and regain the trust of funders, investors, the academic community, and, most importantly, patients. 1. Be patient — don’t rush to commercialize. Stem cells’ mechanisms are incredibly complex, and scientists are only just starting to characterize the way they work. Despite this, cardiac stem cell research accelerated quickly toward clinical trials, as scientists were understandably keen to get this potential new therapy to patients. However, this rush to commercialize has unfortunately meant clinical trials are now underway when much of the underlying biology is still not well understood. The recent scandal has also created negative publicity around the CONCERT-HF trial despite the fact the trial was not based on Anversa’s work. This will most likely impact the perceptions of cardiac stem cell research and trials, therefore affecting funding and investment. The learning from this is to weigh the potential risks carefully before rushing new emerging treatments or technologies into human trials, as not only could this put patients’ safety at risk, but it could also draw negative attention and damage perceptions that set research back further. Instead, researchers and life sciences firms in the area of stem cell research should allow a strong evidence base to grow in order to be confident in the scientific basis before testing therapeutic benefit in humans. 2. Critically evaluate new research. The fact that Anversa’s fabricated research was published in top journals such as Nature and Cell casts doubt on the process of peer review. These journals must reassess their processes to uncover why so many papers were published with fabricated data. However, this also shows the need for those who read and use published information to critically review and evaluate findings, even if they are presented in highly esteemed journals. Investors and companies involved in stem cells therefore need to ensure they do their due diligence when entering a therapeutic or disease area and to take conflicting results seriously, as was not done in the case of cardiac stem cells. 3. Don’t underestimate the importance of replication. A key lesson from this series of events is the need to emphasize the importance of replicating and reproducing scientific findings, rather than just focusing on novel research. This is true in both preclinical and clinical research. As researchers in public institutes and universities can be primarily incentivized by publication, these replicative studies may have to fall to the responsibility of biotech and pharma. This type of work is especially important in stem cell research due to its complexity and variability. 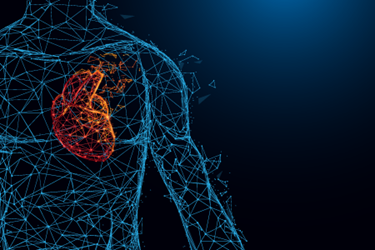 With the well-intended desire to get new treatments to patients, these three lessons can be overlooked, as happened in the case of cardiac stem cells. However, it is important to maintain scientific integrity. Not only will this help lead to an improved understanding of stem cells and potentially new treatments, it will also mean patients and physicians can fully trust the basis of the therapies and clinical trials that are offered to them. Sarah Blunt is a life science expert at PA Consulting. She is actively involved in PA’s regenerative medicine capability, has a background in biochemistry, and has worked with a number of large pharmaceutical companies in areas from R&D to medical affairs. Reach her on LinkedIn at www.linkedin.com/in/sarah-blunt-b68760115.